When our course opens, Bnei Yisrael (the Israelites) are making the transition from slavery to freedom. As the euphoria of the initial steps of freedom wears off, Bnei Yisrael realize that with freedom comes great responsibility. How does God set Bnei Yisrael up for success? How well do Bnei Yisrael rise to the challenges along the way? This course will follow the physical and spiritual path of Bnei Yisrael on their long journey toward freedom. 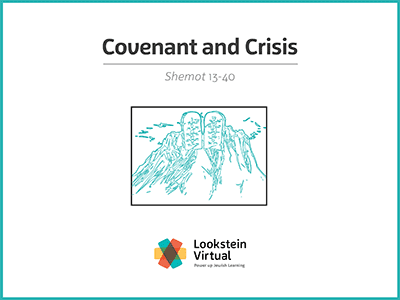 We will accompany Bnei Yisrael as they attempt to rise to their greatest challenge yet – forging and maintaining an everlasting covenant with God at the foot of Mount Sinai.